Any parent will relate to the cringing task of trimming a baby's nails with traditional clippers. But one mum's Nail Snail invention is making the job almost effortless. 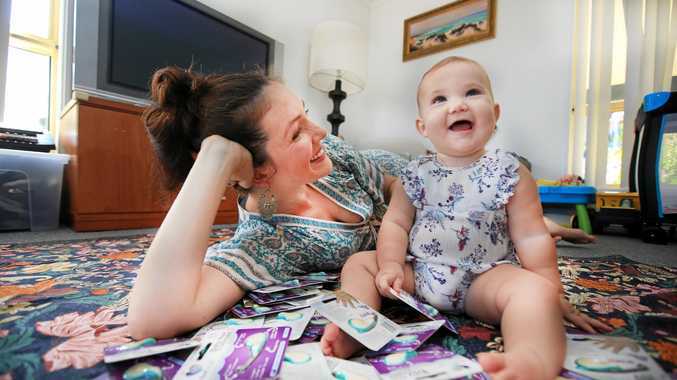 Nail Snail founder Julia Christie was taking time out from her career as a supply teacher and singer to have her first child when her leap into entrepreneurship began. "When I had my newborn baby boy - five years ago - I got myself a set of clippers and clipped the tip of his finger off," the 32-year-old said. Ms Christie's son was four months old when her light bulb moment hit. "I woke up at 4am on April 1 - April Fools - and went, 'Oh my gosh, I think I've got it.' It was the concept that instead of cutting or clipping the nail, a blade essentially shaved itoff sideways. "I was up doodling at 4am when I thought, that kind of looks like a snail." The now mum of three admits she had no idea at that point the amount of time, passion and finances she would need to invest in that little drawing. "Serendipity would have it that I was driving and I was behind a bus," she said. "There was an ad on the bus saying 'How to turn your idea into a marketable product'. I called the number on the ad and was put in touch with Belinda Coker, who has been a mentor since." Ms Coker, also a mum of three, is the inventor of Envirosax reusable shopping bags and November Rain ponchos. She is also a manufacturing and marketing consultant. With her guidance, Ms Christie moulded her first Nail Snail out of Fimo modelling clay, then took her ideas to industrial design team Formzoo, in Brisbane. They turned her clay snail into a blueprint for manufacturing. "It took almost two years of engineering just to get the blade perfect," she said. 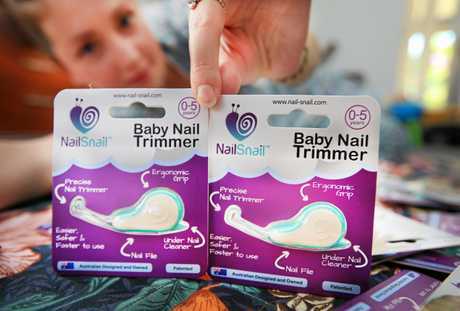 Ms Christie launched the Nail Snail at the same time she gave birth to her third child in 2017 after a successful Kickstarter campaign securing $11,000 in discounted pre-orders. "I had my third baby and was in hospital signing off on marketing contracts, posting to social media, trying to keep things going while she was one day old," she said. "I was working the evening that I went into labour." Ms Christie sold her initial 3000 Nail Snails and is on to her second order of 10,000. 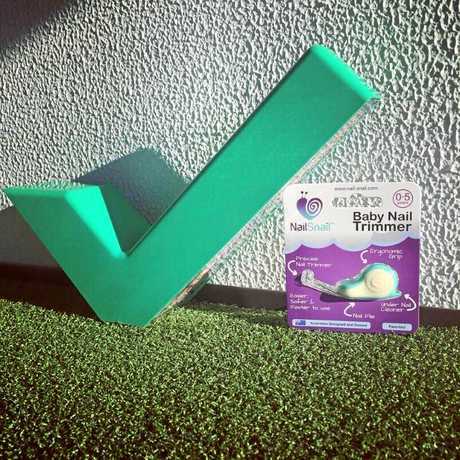 Earlier this year, the Nail Snail won a Good Design Award 2018, the highest accolade for design innovation, as well as the 2018 AusMumpreneur Award for product innovation.